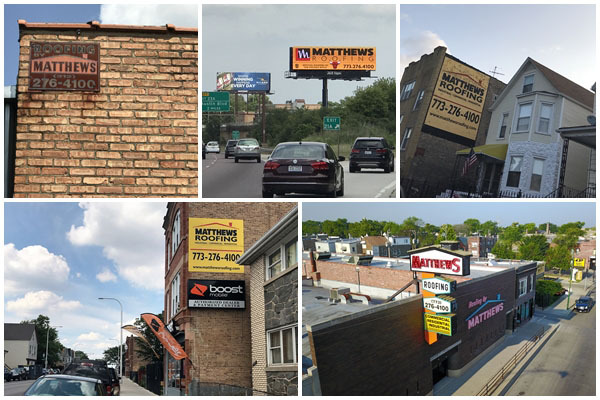 The signs are everywhere and a lot of them are pointing to Matthews Roofing to meet your roofing needs. The internet provides a massive amount of information on roofing products and materials. It is one thing to read about it, however it is another thing to have experience with those products. As experts in the diagnosis of roofing needs and solutions, we’re often asked important questions by our customers. Below are the answers to the ones we get most often. Which is better, a built-up or single-ply roof?Matthews Roofing2018-01-15T14:27:32-05:00If designed and installed correctly, either will work well. Three main considerations affect the relative costs: size, detail work involved and site accessibility. Often the membrane of choice, single-ply systems are available in numerous types with different installation methods for each. Our specialists will be happy to discuss your specific situation with you. How long should my new roof last?Matthews Roofing2017-08-29T20:17:33-05:00It depends on the design and quality of the roof, not to mention how well the roof is maintained. To enhance the life expectancy of your roof, be sure that drainage is clear of debris, flashing is in good condition and a first-rate coating is regularly applied to the membrane. Should we add insulation?Matthews Roofing2017-08-29T20:17:17-05:00Many roofs that are now ready for replacement were built before energy conservation was a concern, and although added insulation will increase the cost of your roofing project, the energy savings over the life of the roof will often cover the additional cost in just a few years. We will check the building codes in your area to determine the required “R” value and recommend the most energy-efficient solution for your particular roof. Must we tear off the old roof before new installation?Matthews Roofing2017-08-29T20:16:58-05:00In the interest of structural longevity, it’s usually preferable to tear off the old roof, particularly if insulation is wet or deteriorated, or if concerns exist with respect to the condition of the underlying structural deck. Naturally, a complete tear-off entails higher cost and often some inconvenience. However, if you should wish to investigate the feasibility of cost-saving overlay, Matthews technicians will be happy to evaluate the soundness of the existing construction, using non-destructive moisture detection instruments and to make sure such an overlay meet your city’s codes and restrictions. What kind of roof do I need?Matthews Roofing2017-08-29T20:16:42-05:00This can depend on several factors, such as frequency of foot traffic, mechanical equipment on the roof, visibility to others, solar reflectivity, etc. Once our team assesses all such considerations, we’re in a position to recommend the roof system and membrane that most efficiently suits your needs. Will I Have To Replace Gutters At The Same Time?Matthews Roofing2018-01-17T20:38:52-05:00The answer to this question depends on the condition of your gutters and downspouts. If both are in good shape, a good roofing contractor should be able to work around them or carefully remove and reinstall them once your roof repairs are complete.If you’re replacing an old roof, your gutters may need some attention as well. Your roofing contractor will talk to you about this during your initial consultation. They’ll give you all the information you need to make an informed decision about your gutters.